ADMT Rocks! : What is ADMT? The picture above shows what I feel about ADMT. 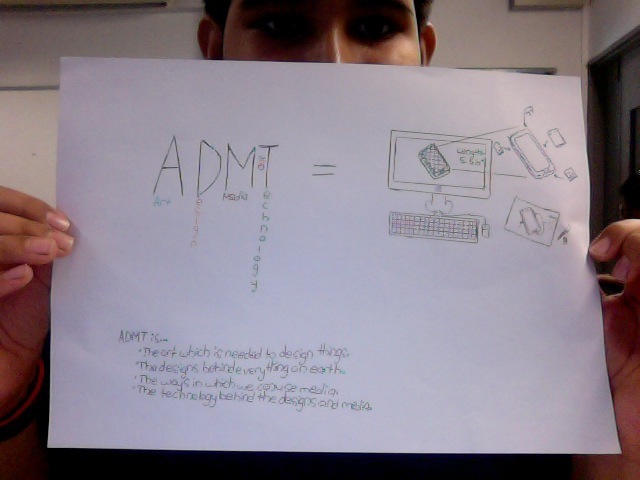 I think that during ADMT, we will use art, media and technology to design various items, such as computers and other products. I really hope that we get to design things as well as learn how to improve on them. I am Balram Sharma, the creator of this blog and all the content on it. As a student, I do not have much spare time. However, I try to write poetry and short essays whenever I can. Enjoy!